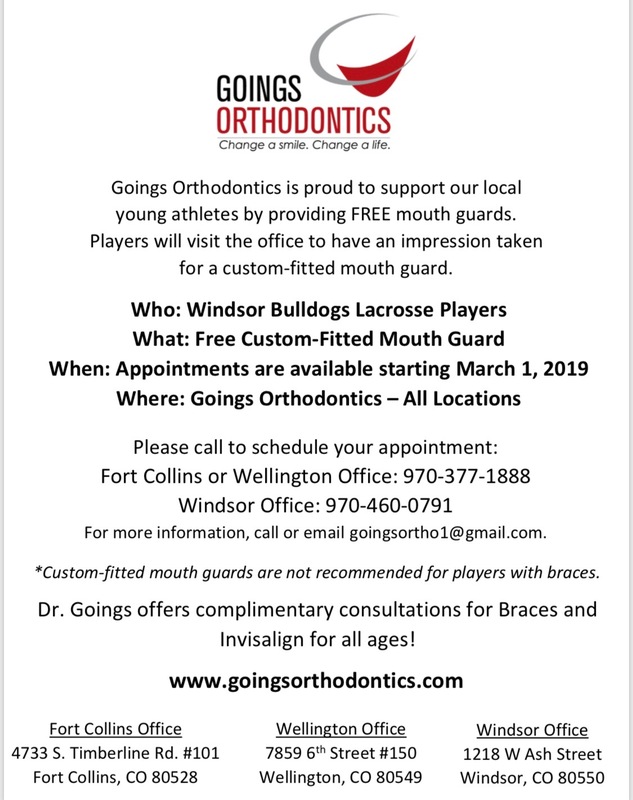 GOINGS ORTHODONTICS is proud to support the Windsor Bulldogs by offering free custom mouth guards. Players will need to visit the office for an impression appointment. Please call the Windsor office at 970-460-0791 or the Fort Collins/Wellington office at 970-377-1888 to schedule an appointment. Custom mouth guards are NOT recommended for athletes with braces.